The DeVilbiss GTi PRO Lite spray gun family ensures there’s a spray gun to suit all types of industrial spray finishing application. 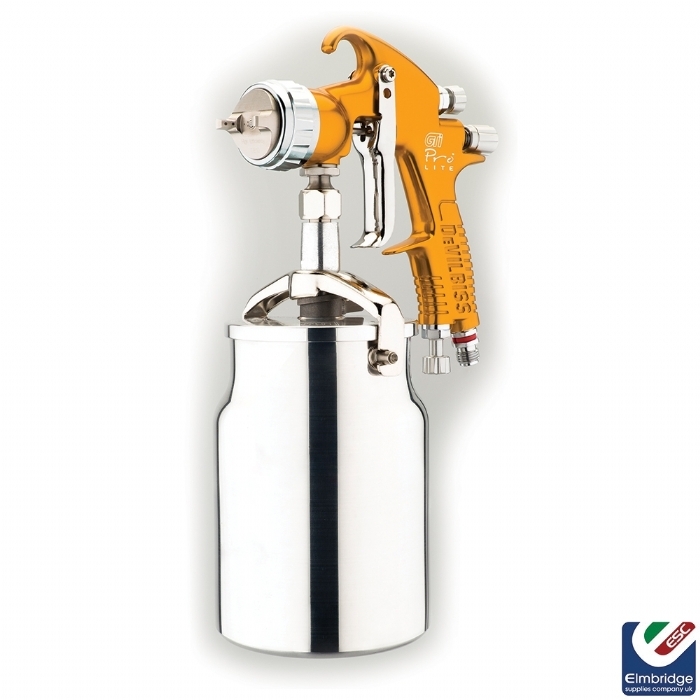 This lightweight spray gun ensures busy professional painters an ultimate quality finish. 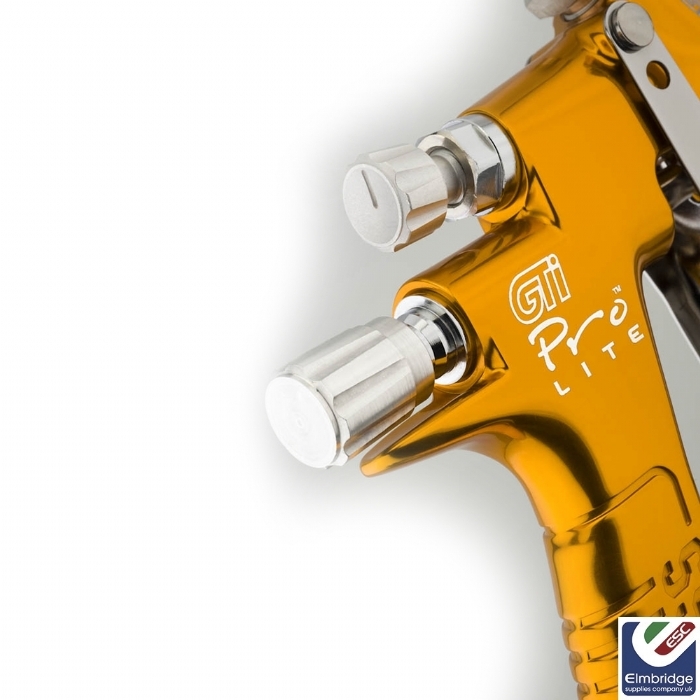 When routine maintenance is needed then DeVilbiss GTi Pro Lite is ideal for the job. It's simple design and easy to maintain format ensures minimum down time and interrupted production. Coaxial, low kick air valve design gives smoother feel for even greater air and paint control for ease of fade-outs and blend-ins. Simplified, user friendly components provide faster, easier cleaning and maintenance. Comprehensive range of conventional, HVLP and Trans Tech (High Efficiency) Air Caps for choice of Transfer Efficiency, Atomisation power and Application requirements. Extensive range of stainless steel, hardened and tungsten carbide fluid tips and needles for all types of industrial applications. Enhanced ergonomics combined with DeVilbiss’ legendary fit and feel ensure incredible performance, handling and balance. 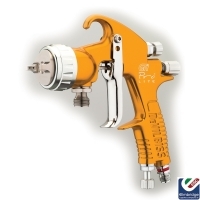 Drop forged aluminium gun body and removable air baffle for a longer working life. Fully environmental Legislation Compliant with high transfer efficiency resulting in significant paint savings. 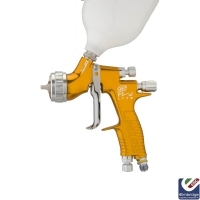 Air adjuster valve provides instant ‘on gun’ pressure adjustment for the sprayer. Please speak to a member of our Sales Team if you are unsure about Tip or Air Cap sizes.